Single Packs Containing 30 pieces. Contains 30 individual 5cm strips. Just attach & Stick - no cutting required. These are Not self adhesive. 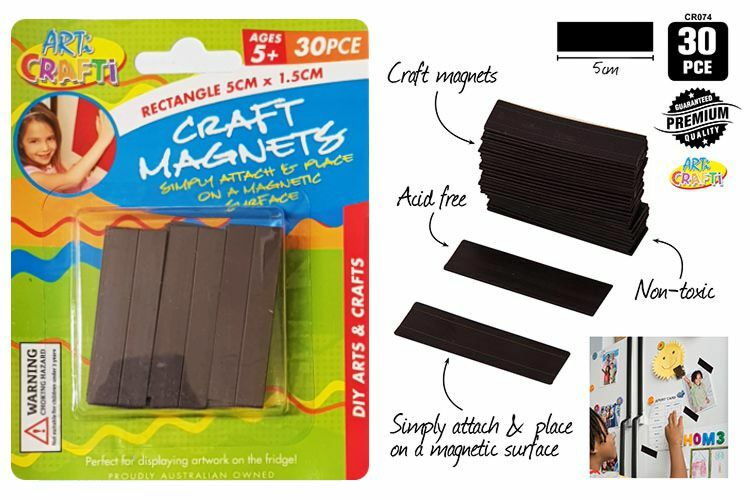 You can use a decent double sided tape or a good craft glue such as Helmar 450 Quick Dry Glue, Helmar Premium Craft Glue or for Express Post Orders Helmar Super Tac EVA Glue to attach your magnets. Much more economical for smaller items than other larger magnets. 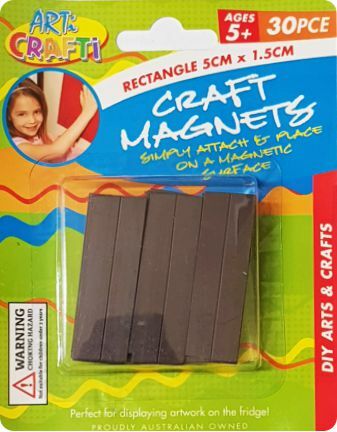 Perfect for DIY magnetic kids crafts, birthday invitations, wedding invitations, save the date cards, advertising, calendars, menus, photographs, postcards etc.